Annual estimate; includes full-time tuition, room and board, and fees. Visit luc.edu/bursar for more information. FINANCIAL AID:99% of our students receive financial assistance, with 91% being awarded grants and/or scholarships. Merit-based scholarships are available for freshmen and transfers, including international students. Visit luc.edu/finaid for more information. It’s an extraordinary setting—the great expanse of Lake Michigan on one side, the urban excitement of Chicago on the other. In the middle—Loyola University Chicago. At Loyola, you get the best of both worlds. Founded in 1870, we are Chicago’s Jesuit Catholic University, a diverse community seeking God in all things and working to expand knowledge in the service of humanity through learning, justice, and faith. As a Jesuit university, Loyola encourages a broad understanding of faith as part of a transformative education and strives to promote religious and cultural pluralism. Loyola follows the principles of cura personalis—care for the whole person—as well as hominis pro alias—people caring for others. Loyola prepares you to be a citizen who can use your knowledge and skills to ensure freedom of inquiry, the pursuit of truth, and compassion for others. At Loyola, the curriculum emphasizes responsible leadership, with a consistent focus on personal integrity, ethical behavior, and a balance between justice and fairness. Through research, reflection, and service to others, a Jesuit university curriculum equips you for a lifetime of leadership and civic engagement. Loyola provides comfortable housing in 20 residence halls. 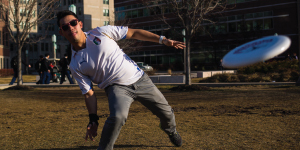 Freshmen and sophomores under 21 live on campus, offering a greater sense of community. Meal plans and convenient campus dining facilities offer students nutritious, diverse eating options. • 84% of freshmen live in college-owned, operated, or affiliated housing. • 15% of students join sororities; 10% join fraternities. 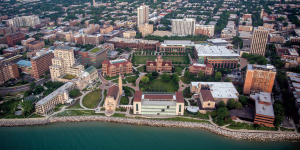 Lake Shore Campus: Loyola’s main residential campus is set along the shore of Lake Michigan on Chicago’s North Side. Health Science Campus: Loyola’s Health Science Campus is located in west suburban Maywood, Illinois. Loyola Lake County Campus: Loyola Lake County Campus is located in Vernon Hills, Illinois. Retreat and Ecology Campus: Loyola’s Retreat and Ecology Campus is located in Woodstock, Illinois, just 50 miles northwest of the Lake Shore Campus. • 93% of faculty hold the highest degree in their field. At Loyola, you’ll dig deep into what interests you. You can choose from majors as diverse as Biology and Engineering Science to Business and Communications. You can put classroom learning into practice with our Bloomberg business analytics lab, journalism studio, nursing simulation lab, exercise science lab, and computer labs for students in Computer Science and Cybersecurity. Whether you like cooking, gospel choir, politics, or water polo, you can get involved at Loyola! Participate in any of our 250+ student activities and organizations to enhance your résumé, learn valuable leadership and organizational management skills, make new friends, and enjoy a rich college experience. Loyola competes in more than 13 men’s and women’s NCAA Division I athletic programs, including basketball, cross-country, golf, indoor and outdoor track & field, soccer, softball, and volleyball (two national championships in the last five years). More than 525 employers hired Loyola students for academic internships at companies such as the Environmental Protection Agency, Chicago Cubs, Chicago Bulls, Leo Burnett, WXRT Radio, The Steve Harvey Show, Mindshare, and the Center for Global Development. 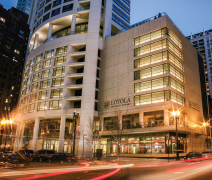 Top employers who have recruited Loyola talent include Allstate, Mayo Clinic, Apple, Art Institute of Chicago, Leo Burnett, and the Central Intelligence Agency. Chicago is home to 70 museums, 200 theaters, 6,500 restaurants, 200 annual parades, and 26 miles of public beaches. Learn more at luc.edu/chicago. The University maintains campuses in Rome and Ho Chi Minh City. Students may select from more than 150 study abroad programs in 70 countries. Loyola’s Rome Start Program gives select students the opportunity to spend the first year studying at our campus in Rome, Italy. After their first year in Rome, students complete their degree at our main campus in Chicago. Learn more at luc.edu/romestart.